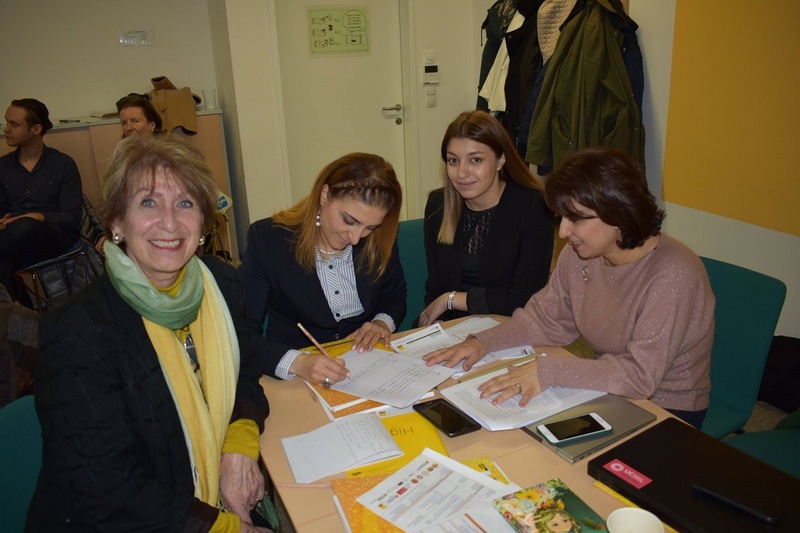 GRAZ, Austria ‒ On March 12-13, 2019, the American University of Armenia (AUA) Erasmus+ INCLUSION team participated in the Coordination Meeting and Workshop on Inclusive Teaching and Learning Methodology Toolkit Development (INCLUSION Project WP4). The meeting and workshop were held at Karl Franzens University of Graz (KFUG), Austria. Also attending the workshop were representatives from State Academy of Fine Arts of Armenia (SAFAA), Unison NGO for Support of People with Special Needs, University of Travnik (UNT), University of Tuzla (UNTZ), Sarajevo Meeting of Cultures (SMOC), World University Service (WUS), KFUG, University College Leuven-Limburg (UCLL), University of Roehampton (UoR), Armenian National Students’ Association (ANSA), RA Ministry of Education and Science (MoES), Federal Ministry of Education and Science of Bosnia and Herzegovina (BiH), RA Ministry of Labor and Social Affairs (MLSA). The toolkit is intended for use by high school teachers that will be trained by AUA and SAFAA trainers. AUA, as the leader of WP4 on Inclusive Teaching and Learning Methodology Toolkit Development, presented the progress made in WP4. The four AUA participants Mimi Zarookian, Adjunct Lecturer at the College of Humanities & Social Sciences (CHSS), Gayane Makaryan, AUA Grants Manager, as well as AUA students Elen Grigoryan (MPSIA ‘19) and Nektar Harutyunyan (CTR ‘19) led a World Café discussion on the draft toolkit with the consortium participants in attendance. They discussed the goals of the toolkit and the activities proposed for high school teachers within respective country specific contexts. Using the findings from the World Café and recommendations by European partners and BiH colleagues, AUA will circulate the guiding work plan among all consortium partners. Additionally, as the lead partner of WP6, Makaryan briefed the attendees on the dissemination activities under WP6, after which she presented AUA’s recommendations for developing the RA National Guidelines, the AUA INCLUSION Master Plan and implementation mechanisms for 2018-2019. Also, during the monitoring activity discussions conducted by WUS Austria and SAFAA, Zarookian and Makaryan presented project sustainability issues placing particular emphasis on public accessibility to assistive technologies, INCLUSION Master plan, delivery of on-going (preferably mandatory) faculty/staff trainings, etc. These are issues that AUA has addressed in its Strategic Plan. Consortium partners then heard the presentation of the New Self-Assessment Quality Assurance Survey developed by WUS Austria. 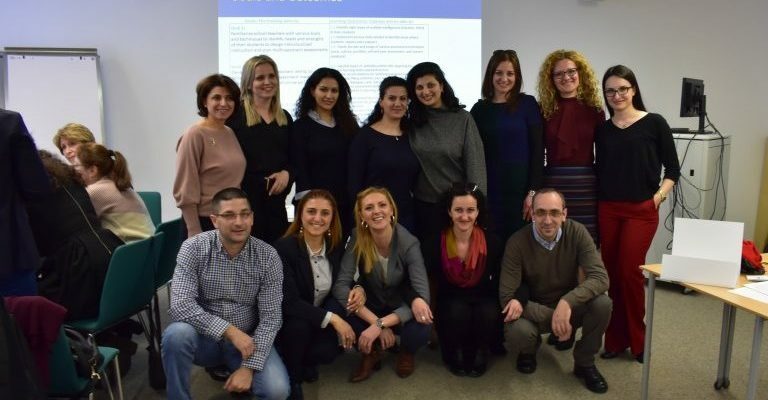 Once this toolkit is finalized, Higher Education Institution (HEI) staff will conduct a two-day training for high school teachers and faculty members in both program countries, Armenia and BiH, in May 2019.